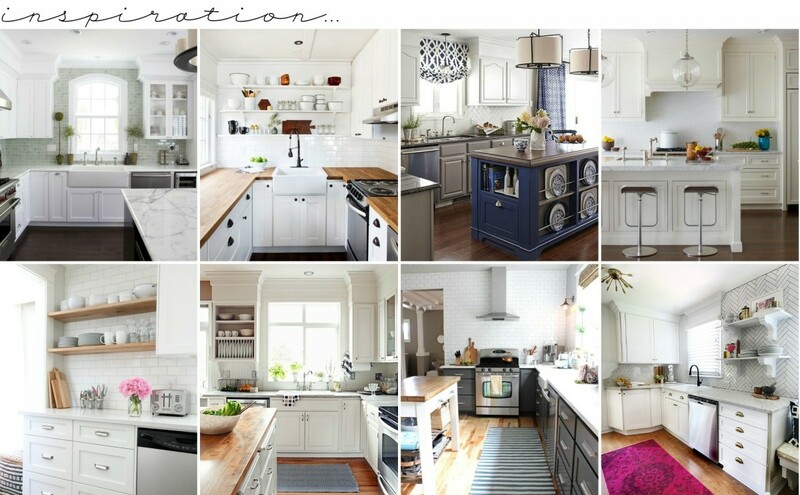 Last week I filled your feed with over-the-top gorgeous white kitchen inspiration! 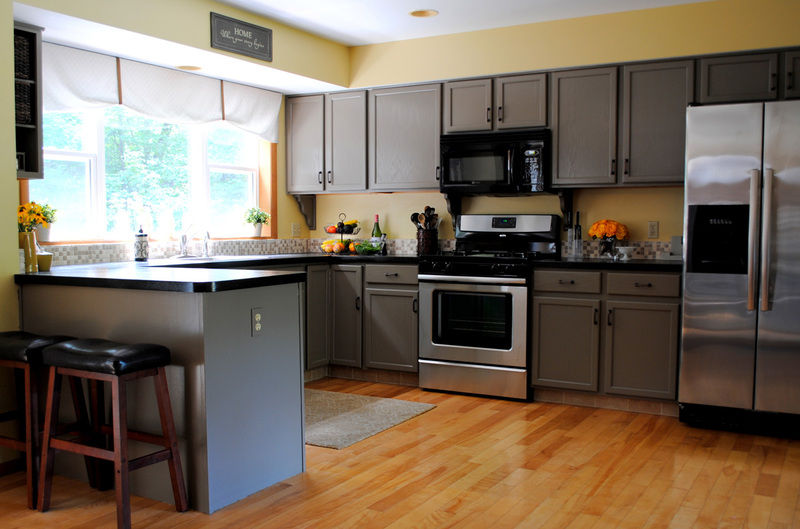 Today, I’m sharing the PLAN OF ACTION for MY kitchen makeover. You heard it right, I’m renovating my kitchen. It’s true and I couldn’t be happier. Before sharing what’s to come, let’s take a step back to look at the current kitchen (soon-to-be ‘before’). You may think the kitchen looks great in this shot. And you’re right… here it does because this picture was snapped right after the DIY makeover 4.5 years ago. The current state of the kitchen at this moment is a mess and I couldn’t find any other before ‘pictures’. Anyway, in 4.5 years we used + abused this space and overall some elements have worked well, but more HAVE NOT worked! For the new layout of this kitchen, it was key to figuring out how to make a better flowing, more efficient new kitchen. 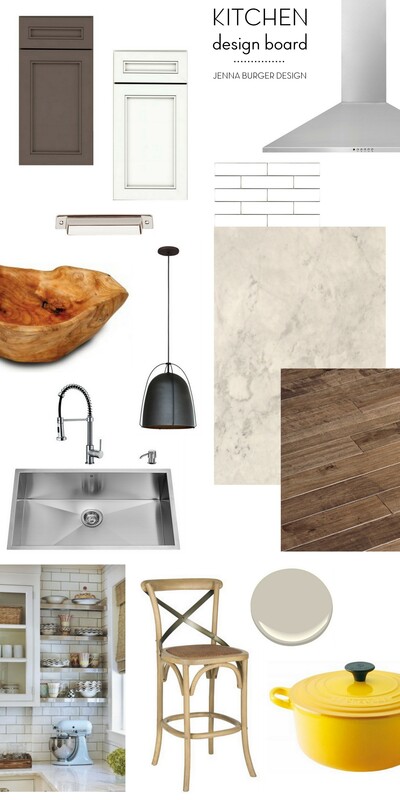 I started off this kitchen makeover as I typically would with my clients by creating a Vision Board with elements + inspiration to capture how I envision the overall space to look + feel. 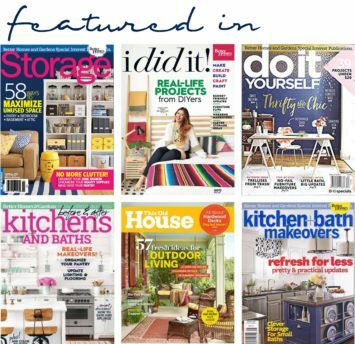 By flipping through magazines + gathering images from the web, I set out to find overall spaces that I would love to live in + specific elements in rooms that I am drawn to. When working with a client on a room refresh, these are the same steps we take to capture the vision + aesthetic direction to then create the unique-to-them magical, dream space. Overall, there is a commonality with all these spaces. They are all… Crisp. Clean. Classic. White. Open Shelving. Layered with Pops of Color. All elements I want for my new kitchen space. Since DIYing our current kitchen a few years back, I knew I wanted painted cabinets instead of stained. I also knew with our open concept floor plan, I wanted + needed the new kitchen to feel light, bright, and most of all timeless; classic was key! 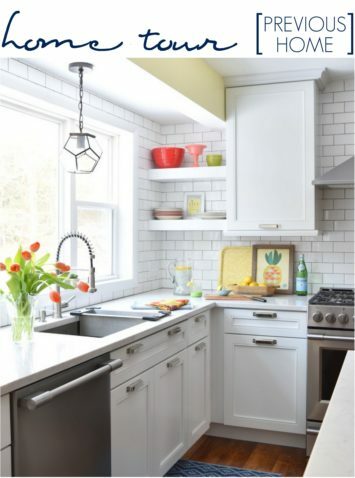 After contemplating about one or multiple colors for the cabinets, I knew white (how much more classic can you get than white) would be the dominate cabinet color choice. As always, I feel it’s important to add depth + contrast in a room, and so for this space the perimeter cabinets will be white, the island will be a rich deep charcoal, and many layers will be introduced atop to make the space pop with color. For this kitchen makeover, I am thrilled to be collaborating with Lowe’s and their design team. 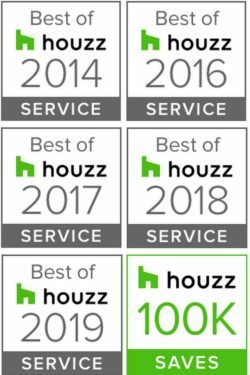 After I created the initial layout, I met with a design team member at my local Lowe’s who assisted me to create the most efficient + beautifully aesthetic plan possible. At Lowe’s, they have multiple cabinet companies in a range of price points. 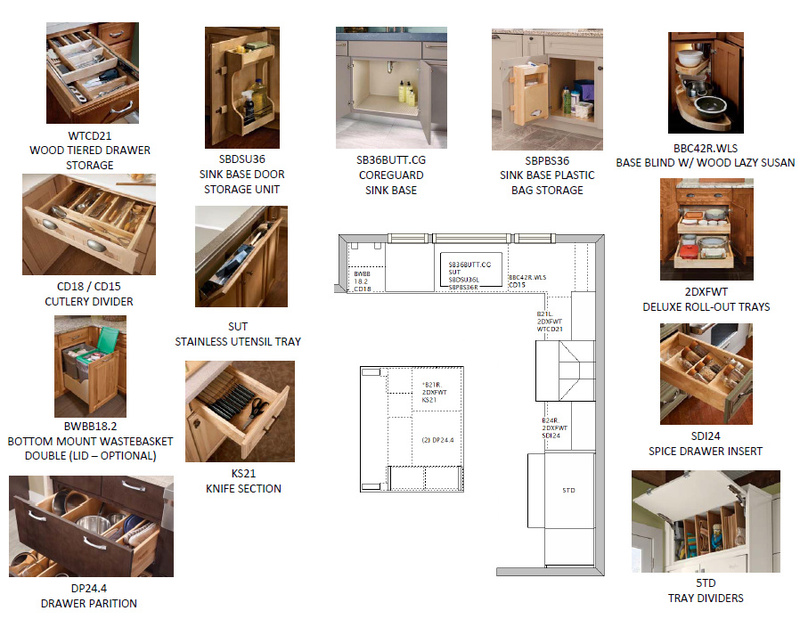 I decided that the Kraftmaid cabinetry line would suit my design aesthetic best and their selection of cabinet design styles + colors are extensive. As the design evolved over a few weeks, there were several renditions, but this is the final proposed plan. A large center island (which will have counter stool seating) anchors the space with continuous flow around. 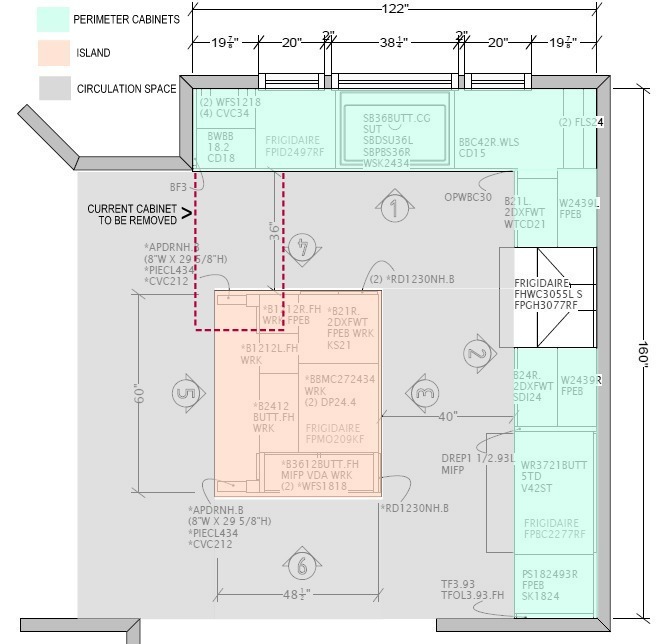 The red dashed line shown in the plan below is where there is currently ‘peninsula’ cabinetry, which will be eliminated. 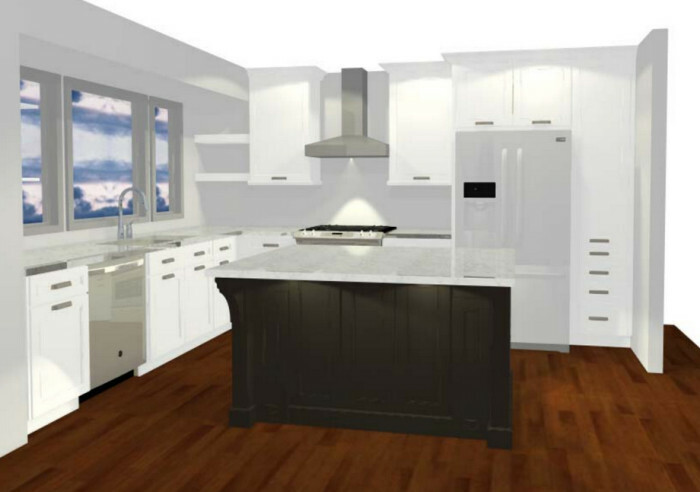 Check out these fabulous 3-D images of how the kitchen will look when complete. Seeing these perspective images really helps visualize how the finished space will look. So different from it’s current state. Part of the soffit above the current cabinets will be removed so the new upper cabinets will be full height to the ceiling. Unfortunately, the soffit above the window can not be removed because it’s a structural element supporting the house. It was a bit of a bummer, but THANKFULLY we cut a whole in the sheetrock to find this out BEFORE the cabinets went into production! Tip: If you are renovating a kitchen and have soffits above your current cabinetry, cut a hole to see if there is ductwork or plumbing inside before ordering cabinets! Pipes or supporting beams may be rerouted, but it could be costly. A new full-depth pantry will be added to the right of the refrigerator which will house the small appliances (coffee maker, toaster, etc) + mobile gadgets. 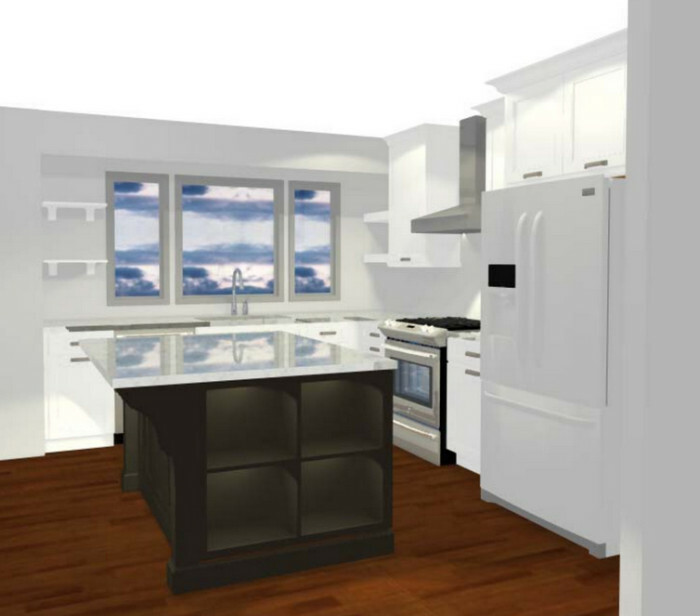 The overall finished space will have a balanced mix of closed cabinetry and open shelving (on the walls + in the island). Using my inspirational pictures, I created my materials palette. As with most spaces (for myself & clients), I feel it’s best that the main elements that you want to “live” for a long time should be more neutral; not plain jane, but classic. 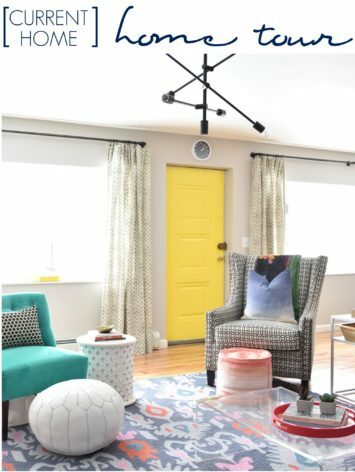 THEN color + texture can be layered in through accessories, window treatments, a rug, wall decor, etc – all elements that aren’t overall expensive & can be changed when you want a refresh. The inside of the cabinets will be loaded with smart storage solutions. Aside from the overall aesthetics of the kitchen, the organizational component has this gal smitten. More often than not, homeowners create a gorgeous new kitchen and regret not maximizing the interiors of the cabinetry with built-in storage. 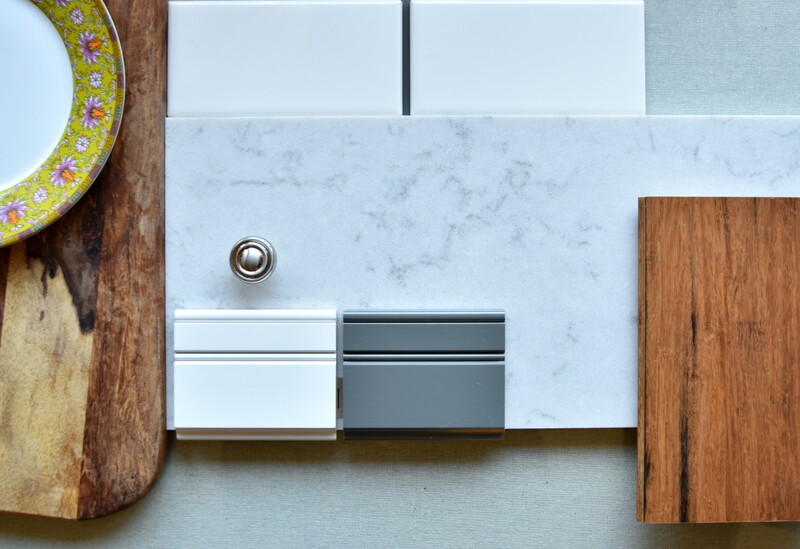 The interiors of the cabinets ARE JUST AS IMPORTANT as the exteriors! And there you have it! Isn’t it incredible?! Of course more details to come soon, so I’d love for you to follow along on this journey while we renovate our kitchen! DISCLAIMER: THIS KITCHEN RENOVATION IS A COLLABORATION WITH LOWE’S. ALL OPINIONS + SELECTIONS ARE MY OWN WITH THE ASSISTANCE OF THE LOWE’S DESIGN TEAM. In the house we are buying we are going to have to gut the kitchen and remodel. I love the white, clean and bright look too! I can’t wait to see your after! Wow! Love the white, and open feel. and An island!! I cannot wait to see the end result. So exciting! We are currently designing a kitchen remodel using Kraftmaid (but through Home Depot). Came across all your wonderful kitchen design blogs…looks like we picked the same exact door design and countertop – very cool coincidence. We are on the fence with cabinet colors though, very hard decision. We like the mushroom and white colors. If we choose mushroom, we would match the perimeter and island. If we went white, we would do a dark island (dark brown or black) and white perimeter (three kids = bad for white island). I saw the cool diagram you have above – pink/green/gray – of the kitchen design. Did you do that or Lowe’s? If you did, what program is that? Thanks so much! What a coincidence! Yes, darker on the bottom cabinetry is a great choice. I will say though the cabinets wipe off easily so if something drips / falls on the face, just use a soft sponge to wipe it away. With 3 kids we’ve had many spills. The drawing that you are referring with the color designation, I created to share on my blog. Lowe’s did not create it. I used PicMonkey to create it using shapes and different colors.